The Working Title Is….Whoa! Easy Now Ethan Allen! I know you’ve promoted yourself as being “much more than a retailer,” and I honestly do love my couch that I bought from you a few months ago. It can’t be debated, we have spent a whole lot of time together. In fact, just yesterday, I thought maybe I should adopt a rotation pattern for the cushions so I don’t ultimately create a crime scene-like imprint into the supple leather. I’m not exactly sure how you came upon your information, or even how you’d be privy to the details of the great volume of time I’ve spent sitting on your quality product in front of the television, but I hate to tell you, you’ve made a terrible mistake. You see, I received your email today, but I regret to inform you…. Sure, I named the couch Brad, but that was just because of the stunning brad tacks that trim the leather. Yes, I am completely aware that the signed label under the center cushion says the upholsterer’s name was Oswaldo, but I only saw that after I named the couch Brad. Sometimes there’s just no going back. And, no, I don’t think it’s strange that I named an inanimate object. My family has done it on multiple occasions. We stole the name McSteamy for our shower when we had the master bathroom remodeled. Every car I’ve ever had was named, from Big Red to Bibbity to Bullet. 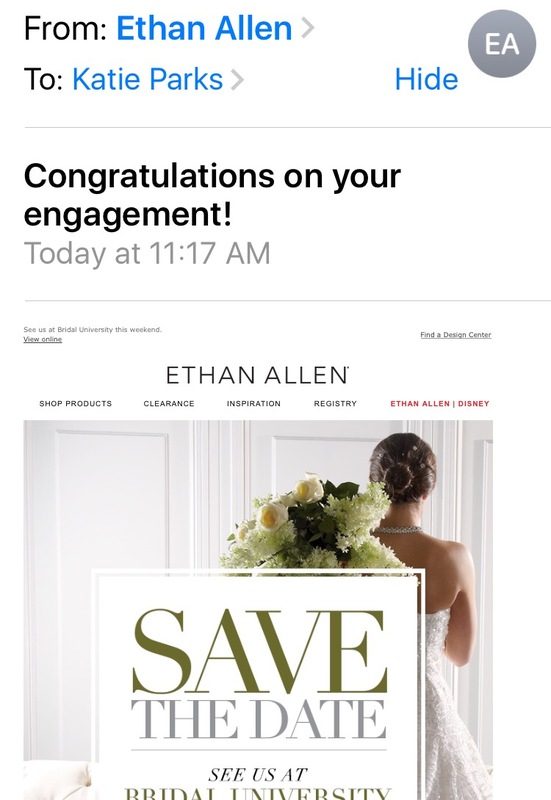 So, thanks Ethan Allen, but let’s not make this into something it’s not. On this Valentine’s Day, there are many people with lives so blessed that they need not look very far to know that love. And there are others who had loved but have since lost, or perhaps desired but have not yet found that soul mate. Some may crave the love of family…as it existed in the past or yearned for the future. And for still others, today may be marked by mourning unfulfilled dreams; realizing life didn’t travel the path you had hoped. For everyone this Valentine’s Day, there is a lesson of love that applies to us all. I first heard this in a friend’s wedding homily many years ago. 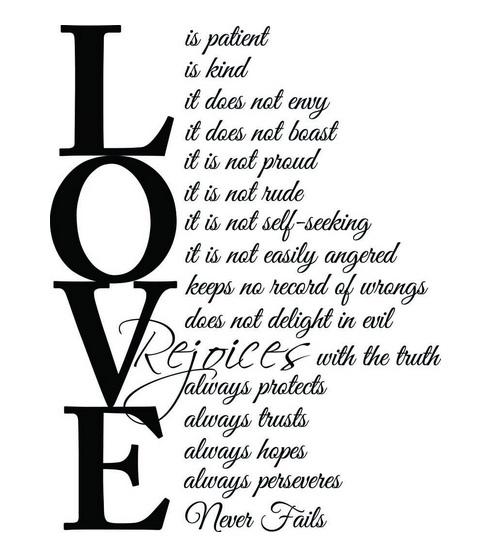 The priest encouraged us to reflect upon 1 Corinthians 13, and every time the word “love” is said or referred, you are to replace it with your own name. Does the statement remain true? Am I patient? Am I kind? Am I the love in the world? Let’s all strive to be the love in the world…today and every day. Love is all you need. A comfy couch is just the icing on the cake.